We premiere Jungle Run, due February 15 from Strut Records. Nubiyan Twist are a 12-piece London-based collective blending a wide array styles and influences into a modern soulful sound that's been brewing out of the UK's new jazz scene. The band, who initially met at the Leeds College Of Music. is now preparing the release of Jungle Run, a 10-track album that sees them collaborate with several artists from their circle (and a few legends) as they weave across compositions influenced by hip-hop, afrobeat, Ethio-jazz, dub, Latin music and much more. Jungle Run features several tracks with vocalist Nubiya Brandon, saxophonist Nick Richards and Ghana's K.O.G, among others. Notably, afrobeat originator and longtime Fela Kuti collaborator Tony Allen lends his percussion for "Ghosts," while Ethio-jazz inventor and legend Mulatu Astatke features in "Addis to London." Tony Allen: Afrobeats Is Not My Thing, It's Retrogressive. Legendary drummer Tony Allen talks about his latest musical excursion, 'The Source,' and reveals his take on Wizkid and Davido. Fela has said, "without Tony Allen there would be no afrobeat." The legendary drummer's latest musical excursions, however, have concentrated on a slightly different world. In his recent debut EP for Blue Note Records, A Tribute to Art Blakey and the Jazz Messengers, Allen opted to take a look back one of his early jazz influences: the American drummer Art Blakey. Allen's now following that up with a new full-length album, The Source, a further exploration into jazz. The album features 11 original instrumental songs that Allen worked on closely with frequent collaborator Yann Jankielewicz. “Tony has never played drums as well as this,"Jankielewicz says. “He's never had as much freedom, never had as much power as he does today." The Source includes contributions from Gorillaz' Damon Albarn and features a cast of Paris-based artists such as saxophonists Rémi Sciuto and Jean-Jacques Elangue, trumpeter Nicolas Giraud, trombonist Daniel Zimmermann, bassist Mathias Allamane, pianist Jean-Philippe Dary, and keyboardist Vincent Taurelle, who produced the album with Bertrand Fresel. Cameroonian guitarist Indy Dibongue from Cameroon also makes an appearance. Tell us about The Source. Tony Allen: I wanted to do this for a long time but everything got in the way. I'm always involved in many different projects. My own approach is to always give time after each album to think about what's gonna be the next, because we don't want to repeat ourselves. So, I've been thinking of jazz because I've been getting tired of singing. I wanted to concentrate more on my compositions and drumming, strictly. I didn't want to sing, didn't want any voices, I wanted more instrumental—this direction, which is my way of playing. My own presentation of our jazz. I've been playing drums my way from the beginning, combining jazz with African rhythms. This time, I wanted to make it no subject, I left that for the afrobeat music that's on today. I've left it since a long time ago. I want to explore my own field and my own awareness about drumming. I don't see any limit there. You don't repeat yourself. What are the jazz influences on the record? It started with the Art Blakey EP. I wasn't trying to reproduce and I wasn't trying to compete with anybody. I'm just trying to be me and expand my own ideas in terms of the way I look at drumming. The way I play my drums is different. I have a different approach to drumming. I was influenced by listening to my local music, then finally got introduced to jazz. then in my country. Then I started to make music with Fela. Fela made it very clear for me to explore my own avenue, he made it possible. He's another genius composer that doesn't want to do anything like the others. "I've been playing drums my way from the beginning, combining jazz with African rhythms... The way I play my drums is different." How did you get connected with Gorillaz/Blur's Damon Albarn for it? I was recording my album, Home Cooking, back in 2002 in between Paris and London. I had an unfinished track that needed a singer, and these producers that were mixing the album suggested Damon Albarn for it because on the Blur song "Music Is My Radar," he'd sang the line "Tony Allen, got me dancing." Damon agreed and he was happy to do it. So he recorded, brought it back, and it sounded good to everybody. After that, I told him we should work together again. We've collaborated several times since then. You're known as the master drummer of afrobeat and one of its main creators. If you go back to that time when you were first playing with Fela, what was influencing you? It's a combination African local music with jazz. It's my gift that I was able to make this combination. 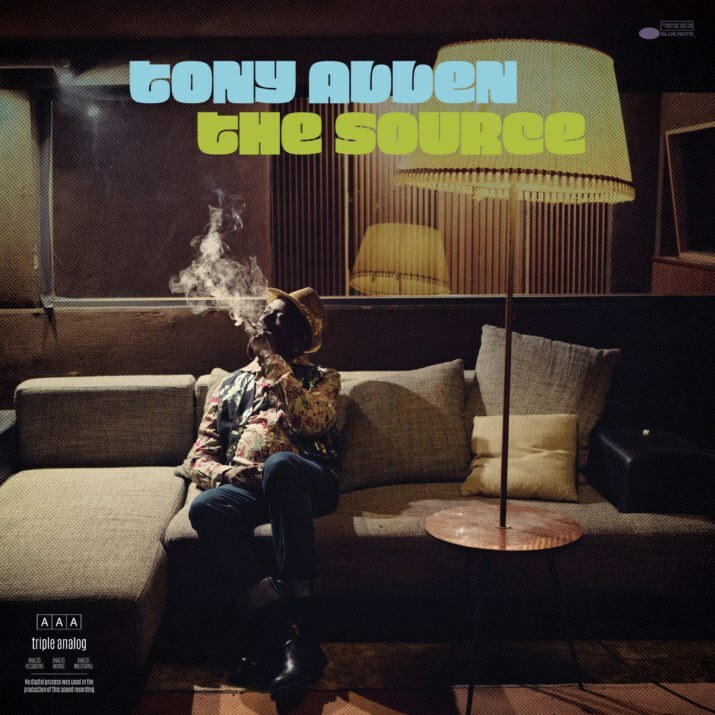 Tony Allen, 'The Source' album cover. Do you listen to modern 'afrobeats' music like Wizkid and Davido? Afrobeats for me—with the 's' at the end—could mean different things. It has nothing to do with the afrobeat that we're talking about. When you say afrobeats, plural, it can be any African rhythm that could be used for any of those songs. Sometimes, when it's passing I listen, but it's not my thing. It's not for me. I shouldn't be listening to such things because they're retrogressive. It's good for the kids. I don't criticize. They're doing fine and that's good. But it's not afrobeat. If you had to sum up afrobeat in 3 words what would they be? Tony Allen in 3 words? Stream Tony Allen's new album, The Source, below and purchase it here. Veteran DJ Rich Medina, who introduced an American generation to afrobeat, ranks the 10 best Fela Kuti songs. Today marks the 20th anniversary of the passing of Fela Kuti, the undisputed king of afrobeat. Legendary afrobeat drummer Tony Allen has announced his upcoming album, The Source, featuring Damon Albarn. The best songs of the week featuring Burna Boy, Shabazz Palaces, Tony Allen, E.L and more. Tony Allen shares the release date for his upcoming EP 'A Tribute to Art Blakey,' and shares the EP's first single 'Moanin'." Here are the best songs that came across our desks this week featuring Kendrick, Wizkid, Oumou Sangare and more. Grammy Award-winning Malian singer Oumou Sangaré and Tony Allen share a message of strength in the face of suicide and depression.